What is the Midday Mile? Every day at Ouch Training, we get up from our desks at midday, put on the appropriate clothing and go out for a mile walk as a team along with the Ouch dogs. It’s an opportunity to get some fresh air and refresh our minds making us ready to return to our afternoon tasks. 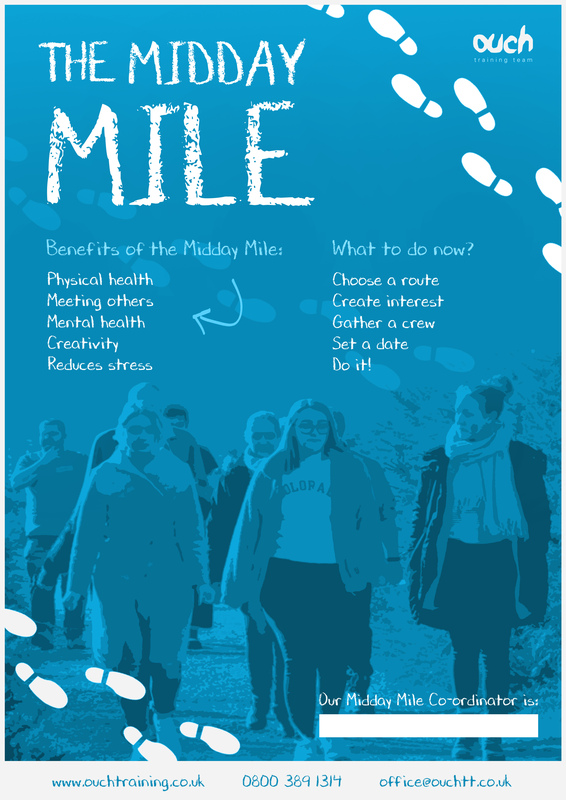 Why walk the Midday Mile? It reduces stress, anxiety and fatigue, promotes self esteem and improves your mood. 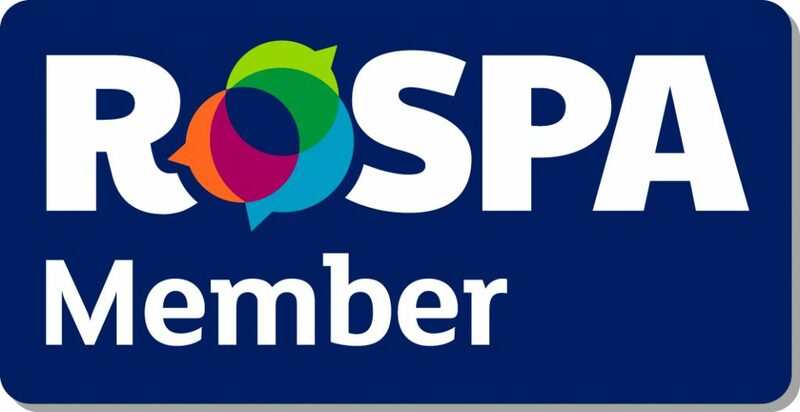 Being active promotes good mental health and wellbeing. A brisk Midday Mile helps to boost your circulation and increase oxygen supply to all your cells, giving you great benefits such as more energy and even healthier looking skin. You will learn more about your work colleagues by chatting to them on the Midday Mile, this will improve working relationships. It can reduce your risk of heart disease and strokes. It’s great cardio exercise, lowering levels of LDL (bad) cholesterol while increasing levels of HDL (good) cholesterol. It will stimulates the release of body chemicals called endorphins, which act as natural painkillers, reduce stress and produce feelings of wellbeing. Walking the Midday Mile improves cerebral blood flow and lowers the risk of vascular disease, which may be linked to helping you stave off dementia. So what is stopping you? Plan a route, create interest, grab a crew, set a date and DO IT! 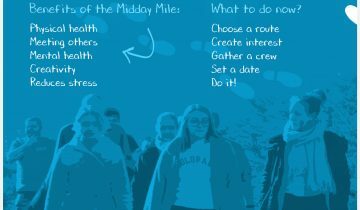 When you join us for the Midday Mile please post on your various social media sites and hashtag #Middaymile and mention Ouch Training, we are on Facebook, twitter and LinkedIn. Thanks. We look forward to seeing your photos!